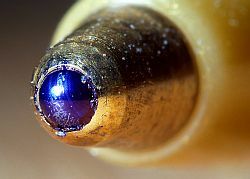 The invention of Ball point pens was actually caused by the culmination of a chain of events. New York’s Gimbels Department Store was the first to have a monumental sale of ball point pens where a great number of units sold in a short period of time. In October 1945, one day prior to the launch of the sale, the shop ran an advertisement claiming that this supposedly miraculous fountain pen would work for two years with no need to refill it. When the sale began that very first day, Gimbels’ inventory of ten thousand ball point pens sold out. To add to the stunning nature of this instant success, the price of each pen was a whopping $12.50 – a price that would be high for a basic pen even today, but especially taking into account the value of a dollar in the 1940s! Although consumers flocked instantly to this hyped event, the ball point pen was actually nothing new. It had just never been sold in such massive quantity at retail. The idea had been originally conceptualized in 1888. That year, a leather tanner from the United States named John Loud had registered a patent for the invention, though his intention was not to create a worldwide sensation. His objective was to create a device that would feature an ink reservoir matched with a roller ball in order to apply ink thickly while marking his leather hides for his business. The primary flaw was that the ink clogged if it was overly thick or experienced leakage if overly thin, which varied based on the air temperature in the room. In 1935, two brothers in Hungary by the names of Ladislas and Georg Biro made improvements on the invention. The goal was to enhance the quality of the ink as well as the pen design. One of the downfalls of fountain pens up to that point in time was that they would sometimes catch onto the paper and tear it while writing. That fact was part of the motivation for Lidislas to make a better pen. After coming up with the idea of the improved ball point pen, the Biro brothers sought and secured financing to manufacture them by way of investors. However, the initial design failed and they had to make some modifications to it. In 1944, the Biro’s released a pen that used capillary action as an alternative to gravity in order to send ink to the ball point. 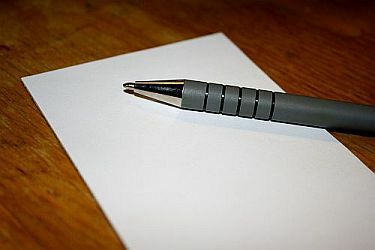 This change added new flexibility by allowing the pen to be held at an angle instead of being required to be held straight up and down in order to work properly. In the mid 1940’s, Milton Reynolds of Chicago marketed a pen design inspired by the Biros’ work, and it was this venture which led to the Gimbels Department Store success story. Though the price dropped on pens thereafter, many problems remained. The public demanded a pen that would not skip, fade, dry out, or leak. To that end, Patrick J. Frawley created the Papermate pen based on a design by unemployed Los Angeles chemist Fran Seech. This design wound up selling into the hundreds of millions. A French manufacturer named Marcel Bich also created an improved design based more directly on the original Biro brothers design. He approached the duo and credit to their work is still well known, particularly in Britain. This model was named the Ballpoint Bic.